Judy Wilson, "The Jude," lived her life as if our problems were her problems. She was a problem solver for whoever needed her varied expertise, whether it be with computers, raising orphaned wildlife, or miscellaneous engineering projects. She could fix a unicorn horn to the head of a horse or replace the blades on your riding mower. 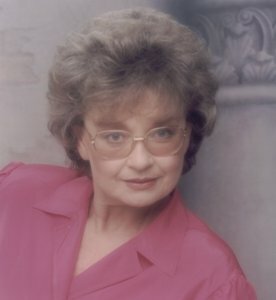 The Jude was also a self-taught computer whiz who willingly shared her knowledge and skills with anyone who needed assistance with a PC. When Judy set her mind on learning how to do something, she would not stop until she had mastered it -- even if it meant staying up all night or forgoing food or other personal needs. She was the epitome of a reliable friend -- always putting your needs first. Judy was a friend to all creatures, not to just people. She loved and nursed all animals, especially the orphaned raccoons, squirrels, possums, and other lost critters needing someone devoted to their survival. She saved countless numbers of injured animals. She also coached hundreds of local rehabilitators on helping animals. In the last few years, as Jude’s health started to fail, she never let anyone know of her personal struggle with heart disease. She stubbornly refused to be a burden to anyone and lived her life so that she was there to help others, but she never asked others for help. She was a minimalist and had learned that personal possessions get in the way of focusing on other people’s needs. Her simple life allowed her to be available for others. Whatever the time or circumstances, Jude was always there to lend a hand, listen to your problems, and offer sincere, open minded advice. She would research your problems and get enthusiastic about solving them. Your successes were her successes. As a friend, she shared your happiness, struggles, and accomplishments. Everyone who has been touched by "The Jude" is now faced with trying to go on with their lives without her. Whom do we call when our computer crashes? Who is going to help with that stranded raccoon kitten that needs round the clock nursing? She helped us fix our computers, nurse our animals, listened to our dreams and problems, and was there to help with whatever problem she was physically able to deal with. Now, what are we going to do without her? I guess we will manage, but no one will ever help us with so much devotion, care and enthusiasm. She taught all of us valuable lessons on helping others without expecting anything in return. She taught us that being happy was about helping others, not having material things. She taught us to try new things and learn new hobbies at any age. She taught us about facing adversity and never giving up. She taught us about keeping promises and living up to others’ expectations and being reliable. Jude taught us that when you live your life for others, your own problems and health issues seem insignificant. Jude, you are greatly missed and will always be loved and have a special spot in our hearts. People come and go; some claim to be friends while others are truly devoted. 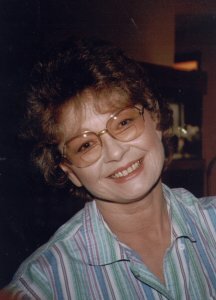 Judy was devoted, my best friend of twenty years and beyond. I will have to remember that what we shared will be forever in my memory and my heart. Jude………..you will, always and forever, be my best friend. Our friend forever, you are greatly missed.